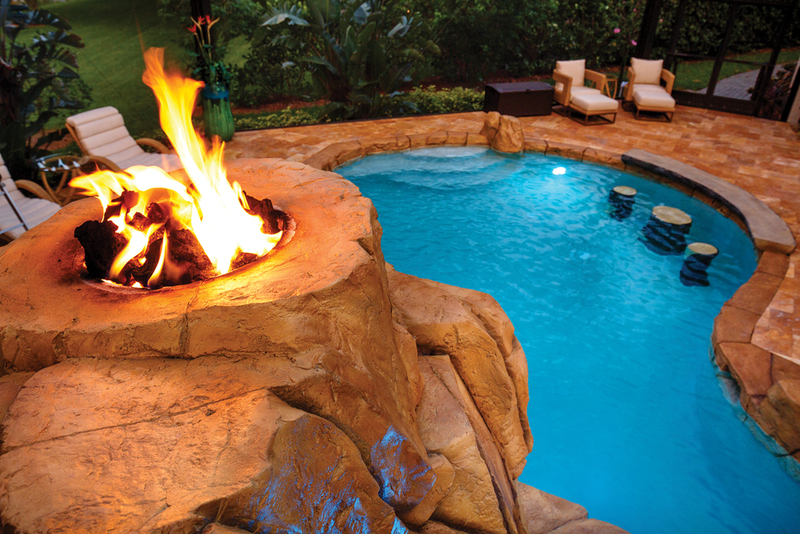 Waterfalls, fire features, and faux rock are trending as beautiful additions to pools that create a unique focal point to any home. 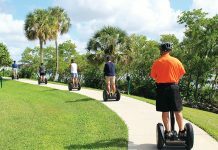 Jim and Patricia Pike chose a major expansion to add excitement to pool time and serve as an enticement for their children and grandchildren to visit their Bonita Bay home more often. And when the couple host charitable events, the new dramatic pool, which spans approximately 160 feet, serves as an entertaining draw. A bridge with a curtain waterfall. 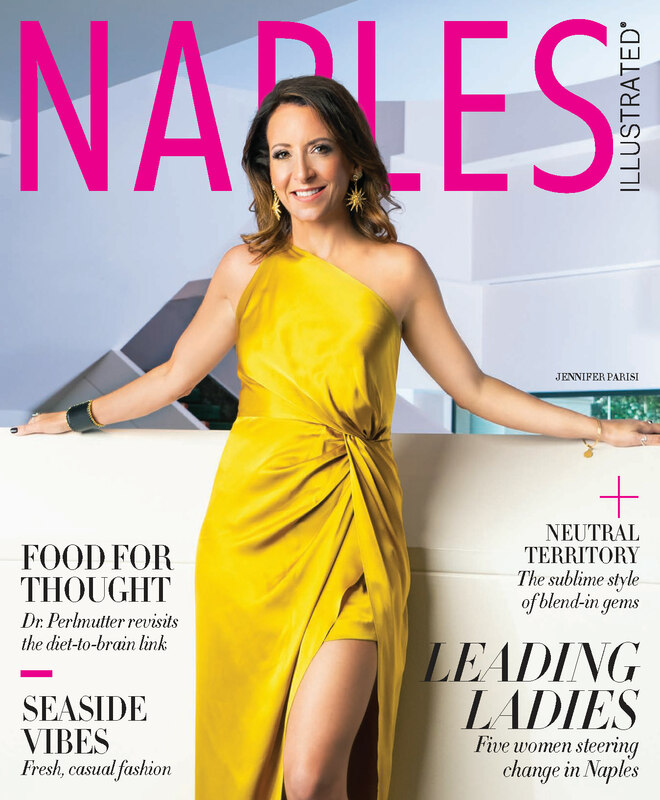 “We wanted something more natural-looking and intimate with that grotto feel,” Patricia Pike says. Enlisting the expertise of Rock Star Pools & Waterfalls, the Pikes revamped and greatly expanded what was once a cement pool with two small rock features. They added a second pool with a lazy river to connect them and a wall of intricately designed faux rock formations leading into the pool. The front of their hot tub now has a dazzling fire feature. A bridge, which features a curtain waterfall beneath it, crosses over the lazy river so guests can climb the steps of a 10-foot rock-like formation. 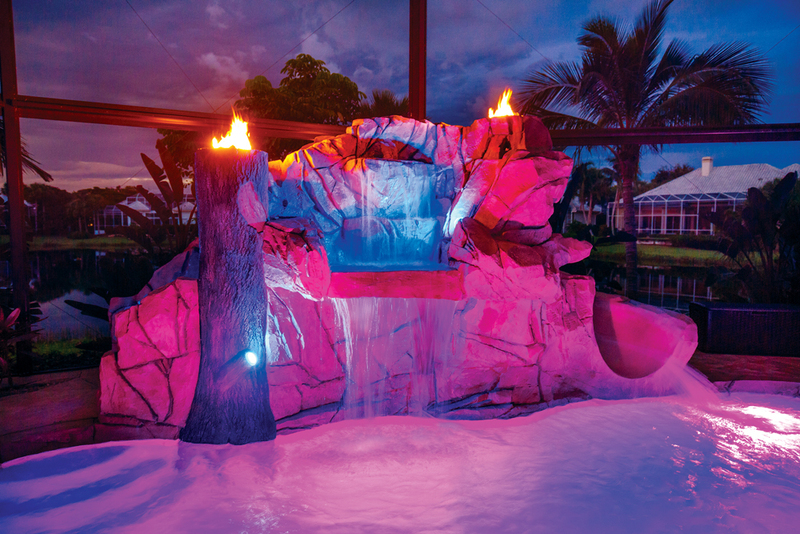 The structure features a triple waterfall, a slide, and a double dose of dramatic fire—a cement tree trunk spews flames from the top and a volcano-like faux rock also erupts with flames. Inside the pool are three concrete underwater stools designed to resemble tree trunks facing a cement log table at the edge where you can perch for a leisurely lunch without leaving the water. 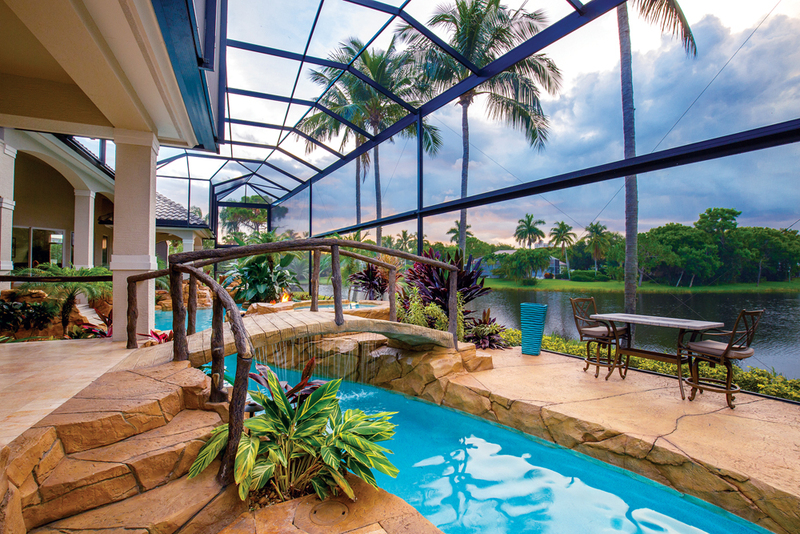 The pool has underwater lights throughout in a variety of stunning, changeable colors. 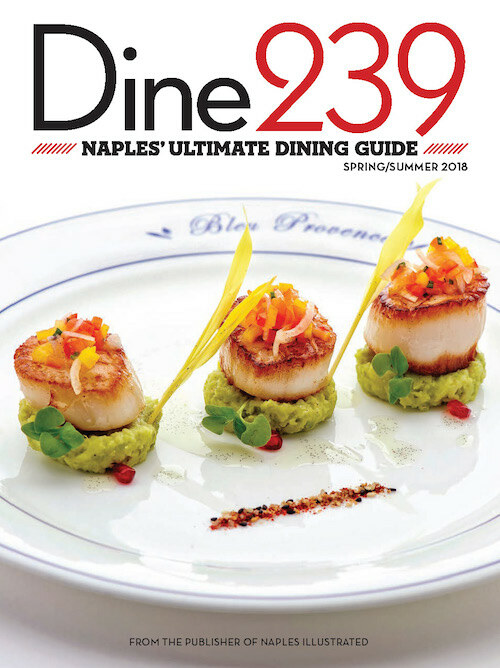 “We can do all the underwater one color and all the features for all the fountains a different color,” Pike says. 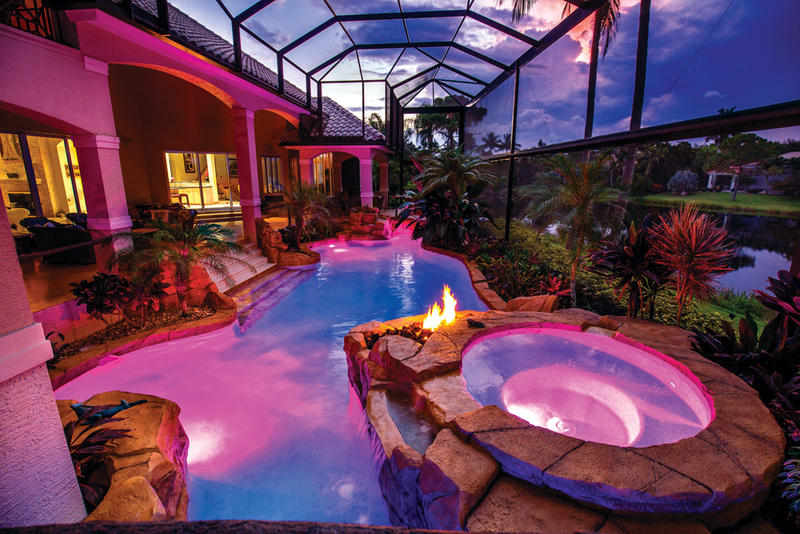 Hot tub with its own fire element and underwater lights in many vivid colors. Against one wall of the pool area, the couple set up a service bar with a refrigerator and drawers that resemble a log, extending the grotto theme. A mural above the bar matches the tropical birds of paradise that surround the pool. The bottom and sides of the entire pool are layered with glass beads instead of the typical cement floor. Underwater stools resembling tree trunks face a cement log table where swimmers can perch for lunch in the pool. 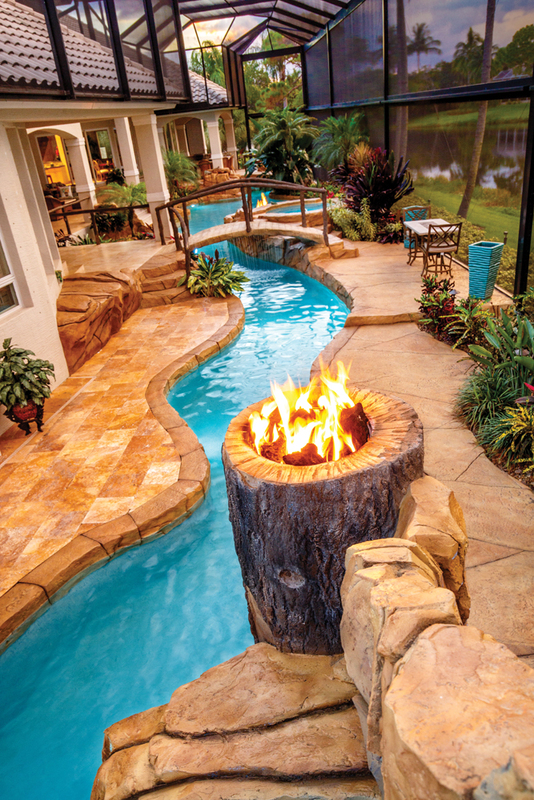 10-foot slide with two fire features and a triple waterfall.